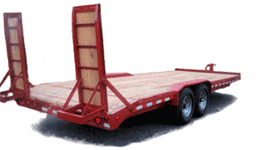 Rolls Rite has been a manufacturer of quality Heavy equipment trailers since 1998 specializing in 4.5 to 35 ton equipment trailers with distributors throughout the United States.� Rolls Rite focuses on building a functional commercial duty equipment trailer that is easy to load and tow. Explore our site and learn more about our� Gooseneck,� Drop Deck, Tag Along, Tilt, Semi Equipment, Paver, Flatbed, and Car Haulers as well as custom truck beds with gooseneck hidden hitch to fit your hauling needs.��� Also see our new all purpose tilt utility trailer The Mini Master. Customize your equipment trailer with paint, decking, popup dovetails, hydraulic power ramps, and much more!� Electric over hydraulic drum and disc brakes available on most trailers. From the beginning we have listened to our valued dealers and customers i.e. Farmers, contractors, pavers, construction workers, and companies needs and wants out of a trailer.� With our network of dealers, distributors and manufacturers, we can assist with your trailer needs. 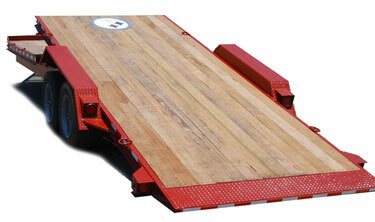 Whether you are in need of a Gooseneck hitch trailer, Pintle hitch trailer or Ball hitch trailer we have a trailer for you.� Our custom features page shows the various options that can be added to customize your equipment trailer.� Rolls Rite specializes in custom trailers such as car haulers, heavy equipment, bumper pull, gooseneck, tag along, tilt deck, paver, semi drop deck, custom truck beds and other flatbed equipment trailers.